All four members of a New Jersey family -- including two children -- were killed before their mansion was torched in what Monmouth County police say is one of the most "heinous" cases they have ever seen. Keith Caneiro, 50, Jennifer Caneiro, 45, and their children Jesse, 11, and Sophia, 8, were found dead and badly burned Tuesday after emergency services were called to a fire at their stately home in Colts Neck, an upscale community near the New Jersey shore, officials said. Keith was found outside the house, shot in the head and back, while his wife and two kids were found inside and appear to have been stabbed, law enforcement sources told NBC 4. Jesse and Sophia were stabbed and killed in separate rooms, sources say, apparently still asleep. Their $2 million home was set on fire just after noon. "We believe that in some form or fashion, this family was targeted," Monmouth County prosecutor Christopher Gramiccioni said at a press conference Wednesday afternoon. He said the entire family appeared to be victims of homicidal violence. "This is one of the most heinous cases we have ever seen," he said. The news comes as Keith Caneiro's brother was charged with torching his own home on the same day, 10 miles away, while his own wife and daughters were inside. On Wednesday morning Paul J. Caneiro was charged with one count of aggravated arson in connection with a fire at his Ocean Township home early Tuesday morning, municipal court records show. A criminal complaint alleges that Paul set his own home on fire with gasoline before daybreak, while his wife and two daughters were inside. 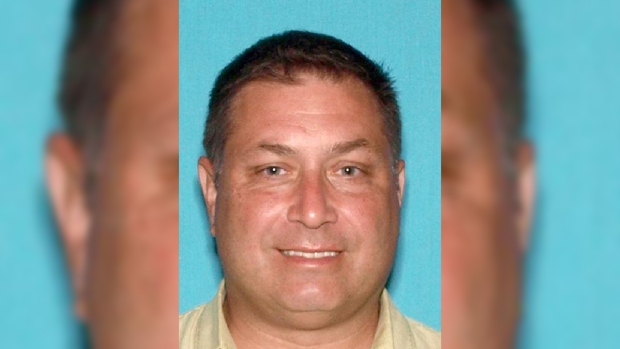 Paul J. Caneiro of Ocean Township, New Jersey, was charged with a count of second-degree aggravated arson in connection with a fire at his residence Tuesday, Nov. 20, 2018. Officials continue to investigate the link between the two fires and would not confirm or deny whether Paul was a suspect in his relatives' killings. Gramiccioni said the public should not be concerned that there is a quadruple-killer on the run. 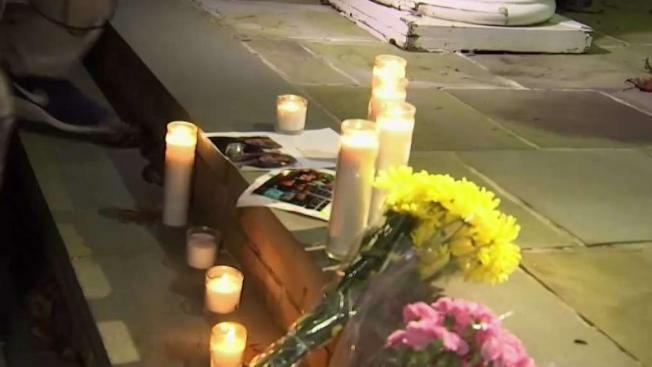 A vigil was held for the Caneiro family Wednesday night at the Colts Neck Town Hall. Many shedding tears at the vigil were classmates of Jesse and Sophia. "She and the youngest daughter bonded so we've been following the updates on the news and it's just really important to come out and support the community tonight, " family friend Ryan White said as he held his daughter. On Tuesday, firefighters responded to the blaze at the Caneiro mansion in Colts Neck around 12:30 p.m. after a lanscaper alerted emergency services. The fire burned for hours. Video showed firefighters battling the blaze as smoke poured from the roof of the two-story home, which is surrounded by fields and includes a large swimming pool. Chopper 4 footage showed a sheet in the middle of the yard next to the house, with police tape cordoning off the area. Colts Neck is a well-to-do community about 50 miles (80 kilometers) south of New York City and is home to horse farms. Typical homes in the town of 10,000 are valued at about $750,000. Bruce Springsteen owns an estate there, and his son is a former member of the fire department. Former "Daily Show" host Jon Stewart and his wife operate an animal sanctuary there; Queen Latifah sold her mansion there in 2015. The 5,700-square-foot mansion that burned has four bedrooms and five bathrooms, according to Zillow. The owners purchased the property in 1998, and the home was built in 2003, public records show. The Caneiro brothers were partners in an Asbury Park business. Keith's LinkedIn profile describes him as the CEO and chief technology officer for the technology consulting company Square One. His profile says he graduated from Columbia University with a Master of Science degree in 2018 and previously received certifications from Harvard Business School's online platform. Paul Caneiro is listed as the vice president of Square One. His attorney could not immediately be reached for comment.